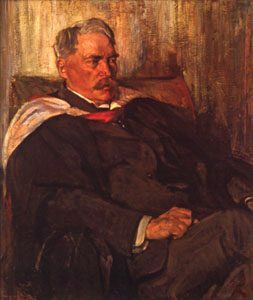 This year marks the 125th anniversary of the appointment of James Cappon to the first Chair in English at Queen’s University. To celebrate this milestone, the Department of English, the W.D.Jordan Special Collections and Music Library and Queen’s University Archives offer a retrospective on the complex intersections of scholarship, creativity, and stewardship that have defined the role of Queen’s and its faculty in the history of Canadian literature. This exhibit has been assembled to celebrate the 125th anniversary—the quasquicentennial—of the founding of the Department of English with the appointment of James Cappon to the first Chair in English at Queen’s in 1888. Throughout its history the Department has been home to specialists in literature from a variety of periods and places; however, it has played an especially important role in establishing Canadian Literature as a central aspect of Canadian culture and as a subject of study. The materials on display have been selected to illustrate that history—they offer just a glimpse of the extraordinary resources for the study of Canadian literature housed in the Queen’s University Archives and in Special Collections. As we prepared each part of the display it became clear that the subject of every individual case might merit an entire exhibit of its own: indeed, the story of those authors and poets who themselves create Canadian literature could fill this space three times over. Our apologies to those writers, both living and dead, whose works have been omitted from this retrospective because of the limits imposed by space—we hope to tell your story more fully another day. The exhibit is centred at the W.D. Jordan Library, with auxiliary cases on the main floor of Stauffer Library. Curated by Dr. Shelley King, Head, Department of English, with the assistance of Dr. Gwynn Dujardinand, Department of English, Pat Hitchcock, Pamela Manders, Barbara Teatero and Mary Claire Vandenburg, W.D. Jordan Special Collections and Music Library, Katie Legere, Discovery & Technology Services and Alex Cooper, Queen’s University Library.